Target Restoration has been a leading provider of emergency restoration services in Pflugerville, TX for over 20 years. With a commitment to providing quality results and efficiency, you can count on our professionals to be there when you need them most. In addition to years of experience, our professionals operate under the HGACBuy, a contract that provides planning, support, and training for disaster preparedness and recovery. We are also a member of Centurion Solutions Team as well as TIPS and TAPS, an organization in which all members must follow strict guidelines in order to assist government and commercial buildings. 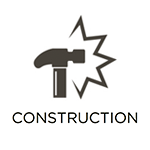 At Target Restoration, our professionals hold over 100 years of combined experience in restoring homes and buildings. We are also proud to be IICRC-certified, a certification that requires both field and classroom training. 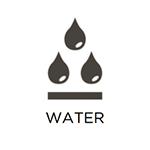 Other professionals on our team include Master Fire and Water Restorers, a status that requires 7 years to accomplish. This way, you can count on our experience and training to restore your property to its original condition in a timely manner. While our professionals are more than proud to provide these services, we are more than just a restoration company; we are families of mothers, fathers, military veterans, and youth sports coaches. Target Restoration’s recent projects include all of the following: Darnell Army Hospital, Belton ISD, Fort Hood, H-E-B grocery stores, and Baylor University. Our technicians have also been awarded and recognized for all of the following: 2013 Contractor Connection Gold Hammer, 2015 Best of Waco Award for Water and Fire Restoration Service, and 2014 Hot Choice Award for Home Restoration. Target Restoration is available 24/7 in Pflugerville, TX at (254) 613-7545 to provide professional restoration services. 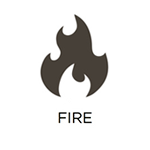 When a fire starts in a home or building, it can spread within minutes, consuming every building material in its path. Even after being extinguished, the damage can still spread through smoke and soot byproducts. These aftereffects can compromise the structural composition of the remaining structure, causing etching and tarnishing that will result in permanent damage. 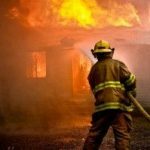 But when called right away, Target Restoration will respond with professional fire damage restoration services to repair and clean up the damage for properties in Pflugerville, TX. Our professionals are licensed and experienced to fully stabilize, repair, and clean the building materials to restore your property. We will also work with your insurance provider to ensure a smooth claims process. 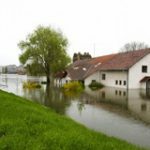 Due to the numerous causes, water and flood damage is the most common type of natural disaster. From appliance leaks to pipe burst to sewage backups, when water damage affects a building structure, it can spread to affect other areas, including floors, walls, and ceilings. This is why it is important to call Target Restoration right away for professional water damage restoration services in Pflugerville, TX. Our technicians are available 24/7 and will respond immediately with restoration equipment and products to remove excess water, dry out the structure, and conduct all necessary repairs. We will also prevent mold growth in the process by disinfecting the materials. Finally, we will conduct a final inspection to guarantee your peace of mind. 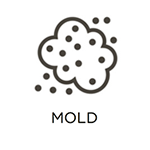 Mold can be caused by a number of factors, the most common being water damage. When moisture is combined with organic building materials, such as drywall, wood, and carpeting, mold growth is imminent. When it starts, it will consume the building structure, even releasing mold spores into breathing air. 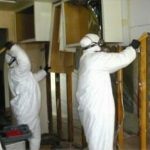 For the sake of you and your family’s health and safety from these spores, it’s important to call Target Restoration for professional mold remediation services in Pflugerville, TX. Our technicians are IICRC-certified and experienced to use professional cleaning agents to eliminate mold growth at its source while ensuring to cover all affected areas. We can also work with your insurance provider to ensure a seamless claims process. When a natural disaster strikes a property, it can leave it in critical condition. Damage caused by fires, floods, hurricanes, storms, and tornadoes can even cause permanent damage to both residential and commercial properties. When this happens, it’s crucial to call for professional services immediately. Target Restoration is available 24/7 to provide emergency reconstruction services to fully repair and restore damaged building materials. 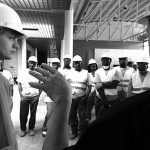 Our construction team consists of a variety of carpenters, electricians, roof specialists, painters, and a project manager to oversee your property’s progress. With our licenses and experience, you can count on our professionals to handle all aspects of the project. 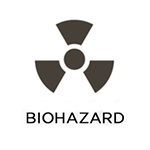 Biohazards can be present in a number of messy situations. Among them include sewage backups, violent accidents, and even mold. But they must be removed with professional equipment in order to ensure the safety of everyone on the property. This is why it’s important to call Target Restoration for professional biohazard cleanup services to safely remove not only biohazards but harmful bacteria and pathogens. Our cleaning products and deodorizers will also disinfect and restore the area to its original condition. Finally, we understand that some situations can be emotionally stressful, which is why we take a respectful approach to the cleaning process. To inquire about the disaster restoration services listed above, call Target Restoration at (254) 613-7545. We are also available 24/7 for emergency services in Pflugerville, TX.